1 For pumpkin and feta filling, place pumpkin in a steamer basket fitted over a saucepan of boiling water, steam until tender (30-35 minutes). Transfer to a bowl, coarsely mash with a fork, then cool. Add feta and cinnamon, season to taste and set aside. 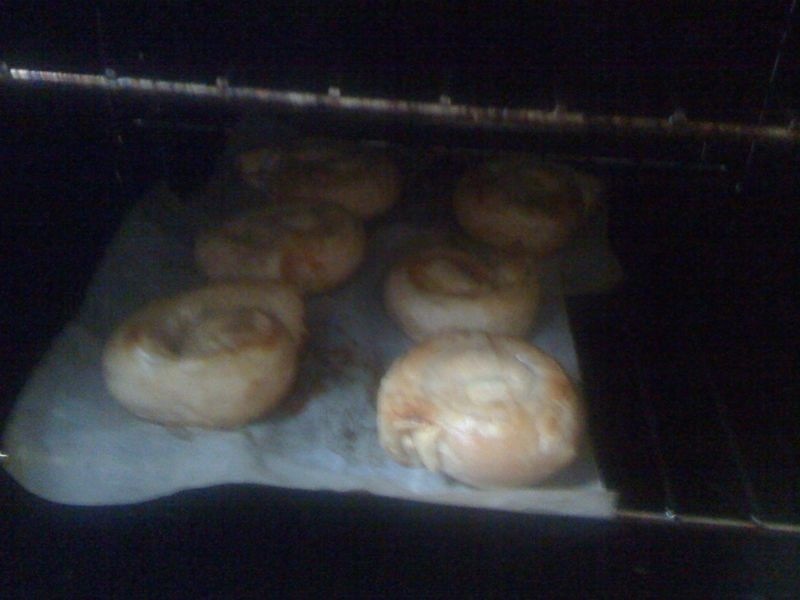 2 Preheat oven to 180C. Lay a sheet of filo on a clean work surface, brush with melted butter and top with another layer of filo, then repeat. Brush the top with butter and fold shortest sides over to meet. Divide the pumpkin filling into 6 and spread one-sixth along the longest side, leaving 3cm at each end. Fold in sides, then roll up loosely and twist into a coil. Place onto a baking-paper-lined oven tray. Repeat with remaining pastry and filling. Brush tops with beaten egg, scatter with sesame seeds, bake until golden (15-20 minutes). Serve immediately dusted with a little icing sugar and a pinch of cinnamon. Bueno la fan mas grande que tienes es tu mamá,se ve deli,tenemos mucho por cocinar.